Hey EEDS friends and family – our second session of Fall 2014 percussion classes is up: Register here ! We have percussion classes for both beginners and more advanced students. You can sign up for an entire session, or just drop in for a class or two. All instruments provided! Description: This class introduces to Brazilian percussion styles through focused lessons on the tamborim and the surdo. It is appropriate for students just beginning with Brazilian percussion, as well as advanced students wanting to refine their skills on certain instruments. Description: (Ages 16+) This class brings together all the instruments in a full Brazilian bateria, with a focus on advanced playing techniques, new rhythms, and refining the coordination between all of the instruments. Previous experience with Brazilian percussion is required, and this class is open to students who have already completed the “Beginner Bateria” class, or have participated in EEDS Performance Bateria previously. Fall session dance classes will be announced soon! 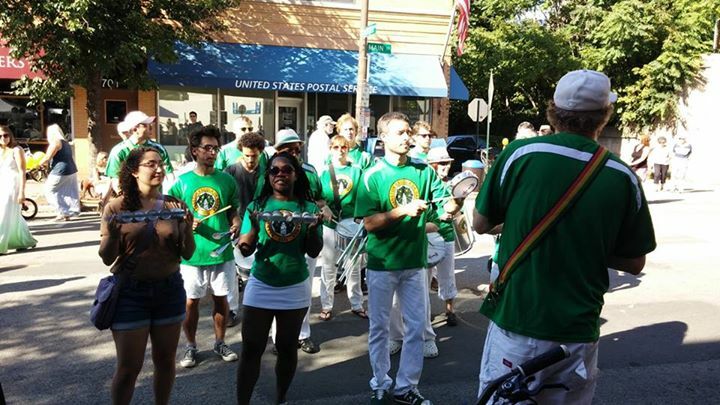 This entry was posted in Classes and tagged classes by Evanston Escola de Samba. Bookmark the permalink.